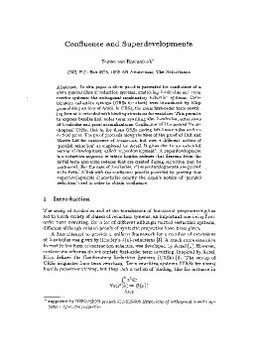 van Raamsdonk, F. (1993). Confluence and superdevelopments. In Rewriting techniques and applications (pp. 168–182).